I have been dining at Little Bay in South Croydon all my adult life. 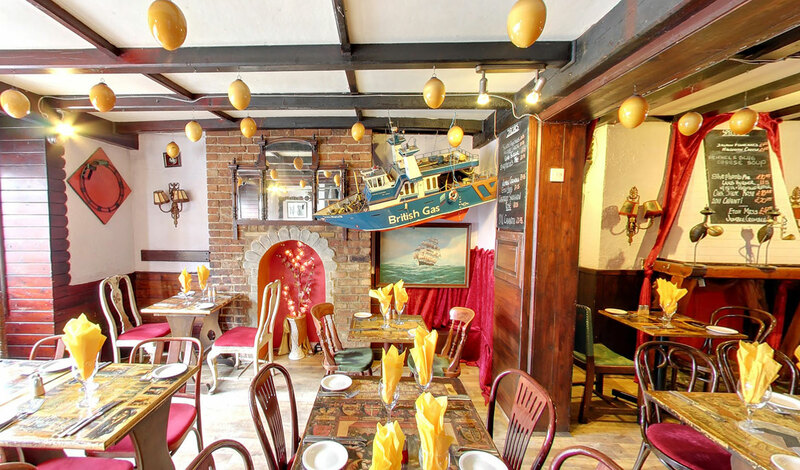 For those of you who don’t know it (first of all why not, and secondly why the hell not) the restaurant is housed in a quirky Swiss chalet-style building tucked away on the Selsdon Road, in the heart of South End Village. 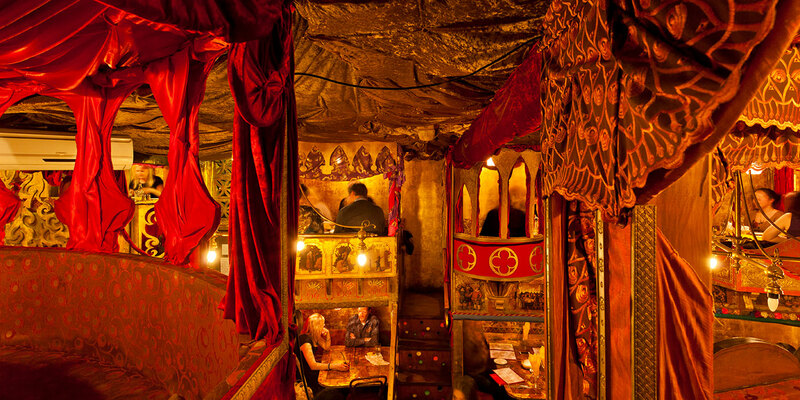 This may technically be a chain, with other branches in Kilburn and Farringdon, but our Little Bay has been a popular Croydon haunt since the late 90s. It has a buzzy atmosphere, and is always packed with people of all ages, which is no surprise, being their menu is great value for money. 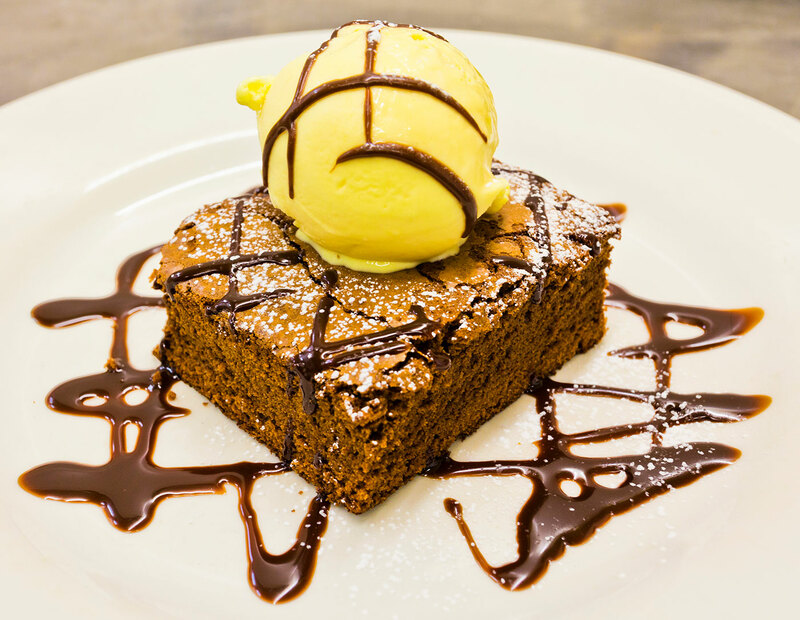 Serving modern European dishes on three different menus (set, à la carte and specials), there is something for everyone’s taste. I’m equally likely to go there for a family dinner, as a night out with a group of friends or the aforementioned date. Angela and I took our seats in a cosy theatre box for dinner last week. Starters range from staples like baked field mushrooms, choux de crab and calamari rings, but I was torn between two of the specials, either avocado, mozzarella and tomato, or halloumi – finally going with the latter because well, I can never resist halloumi. It was a yummy choice, with pesto dressing and balsamic on a bed of rocket. Although the main menus have an excellent selection of meats – duck, pork, lamb, chicken and steak – there’s always a lot of options for me, a pescetarian. 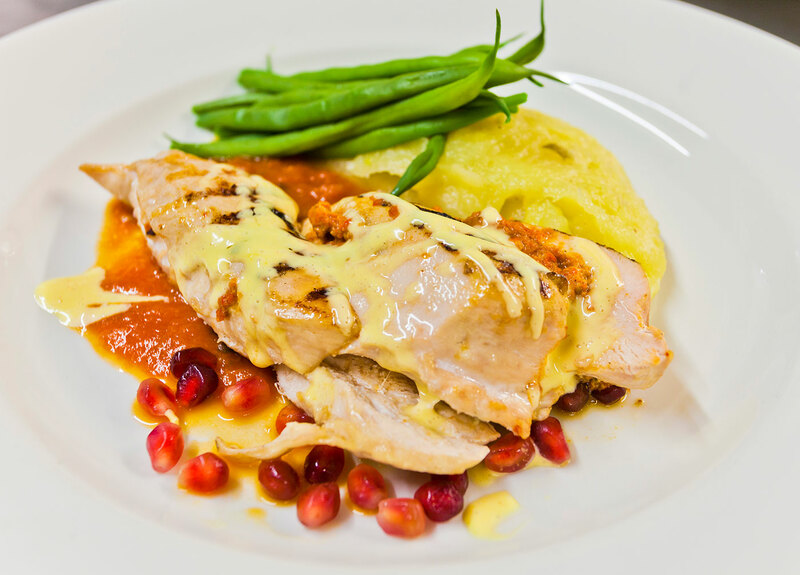 They serve more than a few fish dishes, from plaice and salmon, to sea bass and occasionally trout. The non-fish-eating vegetarians won’t be disappointed either, with a spinach, ricotta and mushroom parcel, or a leek, mushroom and cheese tart. The latter I’m rather partial to, as it is served with salad and a poached egg. Any dish with a bit of breakfast included always gets a tick in my book (breakfast being the best meal of the day). Last week though I opted for the herb and lemon crusted salmon dish served with angel hair noodles and stir-fry veg – tasty and filling without feeling stodgy. On this occasion we didn’t progress to dessert, feeling nicely full from two courses, but I know they have a great selection of the usual suspects for the third course, as I’ve tried a fair few over the years, from Eton mess, banoffee pie, apple cake (with custard AND ice cream), vanilla cheesecake, to my personal favourite, chocolate brownie. 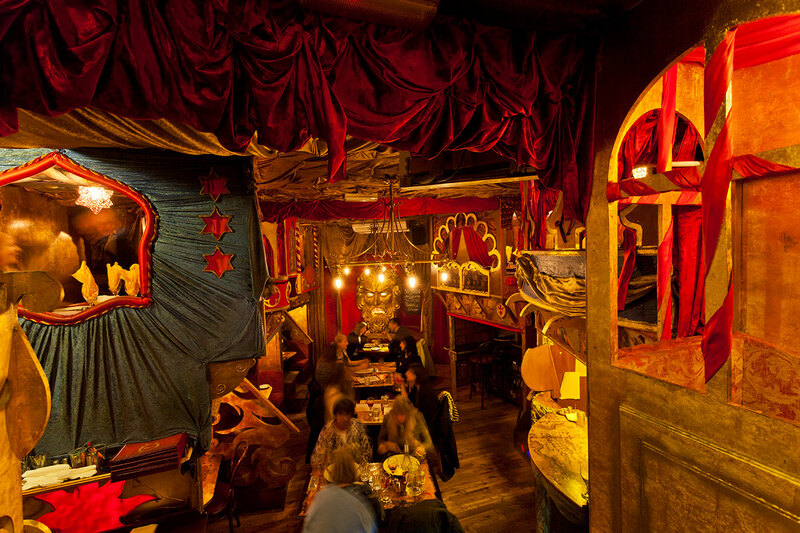 I will be back more than once before the year is out – particularly because in addition to their usual live music nights, in December there will be Christmas carol performances every thursday, starting this week. Peter Ilic, Little Bay owner, comments, ‘We’re very excited; it has never been done before here in Croydon. We hope to bring some extra festive cheer after what has been a difficult year for many.’ And in fact they are dedicating their first carol evening to the memory of the tram accident victims. 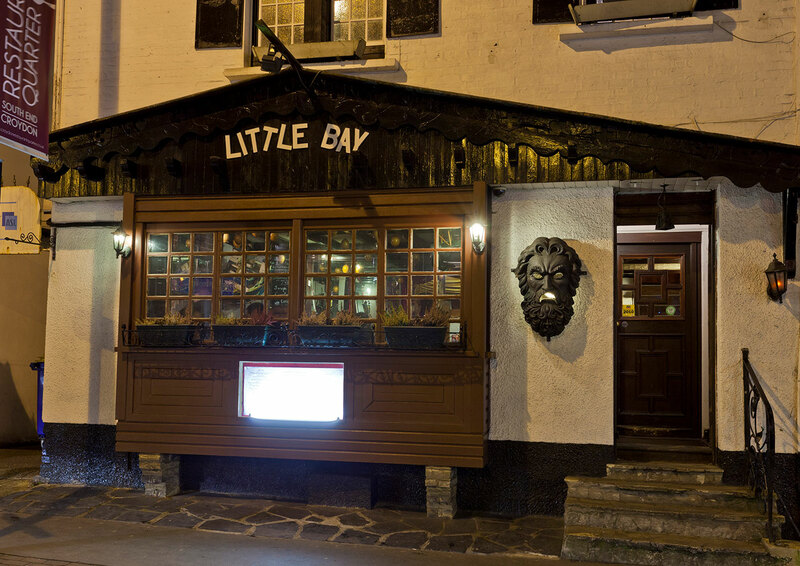 If you’re looking for a dining experience which is something a little out of the ordinary, with a relaxed atmosphere, friendly staff and great service you need look no further than Little Bay. My tip is to book a table in advance. A cracking community restaurant with a big personality.